Please participate in creating the most comprehensive list of Cheese Makers in South Africa! You can stand a chance to win a wine and cheese hamper to the value of R1200! Meet the winemaker who is as good in the cellar as she is on a surfboard. Trizanne Barnard is as good on a surfboard as she is in the cellar making Trizanne Signature Wines (TSW). Her wines will be showcased at the upcoming Women of Wine South Africa (WoWSA) Festival, which takes place on Sunday, August 12 from 11h00 to 16h00, in celebration of Women’s Month at the Candlewoods Boutique Venue in Centurion, and also features craft beer, gin and spirits made by women. I bet you Melissa Nielsen will be there too with her Genevive MCC. Wake up out of the winter slumber and scroll down to Events Galore. You might find it very hard to choose what to attend! Go for a short hike in the West Coast. If you have not looked at my favourite new “kid on the block”; The Elgin Railway Market yet, do so! You might want to look at a couple of highly inspiring Non-Profit Organisations. 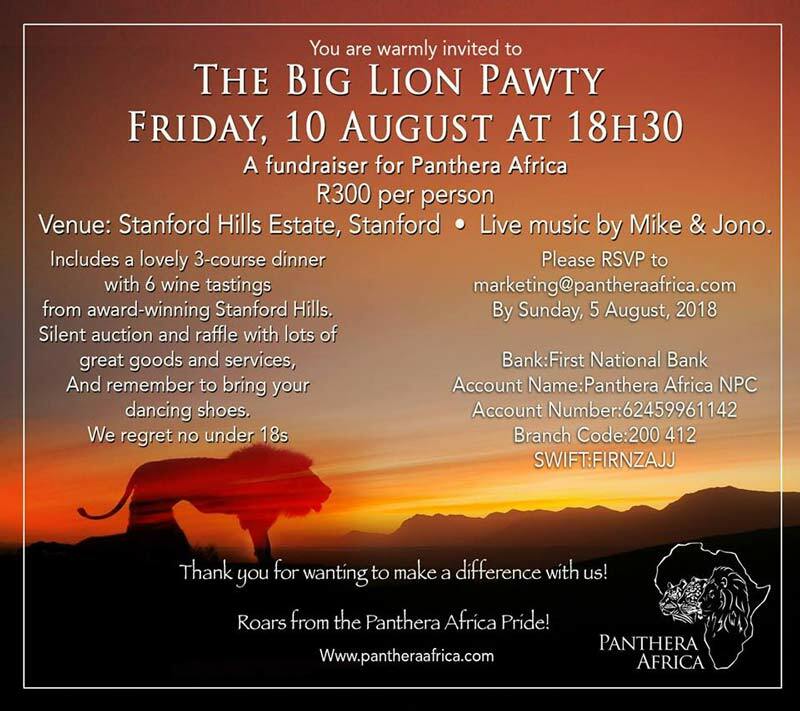 Visiting Panthera Africa is always a great thing to do! We introduce some weekend and holiday accommodation gems to visit; In the gorgeous Overberg, Picollo Bocca Villa in Kleinmond. Do a roadtrip to the Northern Cape where I saw more than 17 shooting stars on one night! Go and breathe the clean air at Broadwater Holiday and Wedding Venue resort in the Northern Cape. Leave the N1 and visit the beautiful ex Prof. Chris Barnard’s Farm between Richmond & Three Sisters ~ Bloemhof-Karoo. You can also get inspired by the spotlight on fashion, décor, interior decorating, obviously wine and fantastic autumn and spring events. Read on! Your smile is your best, free and fast face-lift! Please remember to either scroll down and enjoy the read or view the digital magazine or download the printable PDF. Thank you so much to all who print this out as infotainment for their visitors & guests! – I receive Very interesting feedback! I Love it! Featured interestingness and fabulousness this month. Scroll down for many, many great events. At Creation everyone is look forward to welcoming wine colleagues from around the world to their stand (K83) at the 2018 CapeWine International Trade Show in September. Terroir is best experienced through discovery on the ground – up close and personal. So do also visit us on our beautiful estate in the Hemel-en-Aarde. Please contact daniela@creationwines.com if you or your associates would like to spend time at Creation with Jean-Claude and Carolyn during this period. 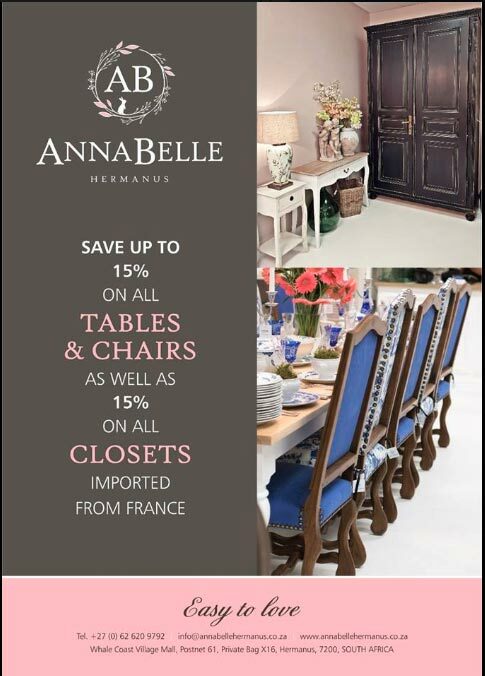 AnnaBelle Décor is a French inspired brand focusing on bespoke décor and lighting, painted furniture, French antiques and crystal chandeliers. They are running a very special sale until the end of the month. Read more and feast your eyes. Geta Finlayson is the most renowned, well known and beloved jeweller of the Overberg! Her ability to capture ethereal beauty in an object has never ceased to amaze me. It comes from inside her and spills into her work through design and loving care. Every time I wear my Geta pieces I feel deeply special and blessed. Read more about Geta’s Jewellery and art. FAB Events Company ~ Andre Lambrechts and Dieter Odendaal have extensive experience due to many years of working in the wedding and events industry. Situated in The Hemel-en-Aarde Valley and Caledon, they provide expert and creative solutions for all events and weddings. Also see the appropriately named, THE ONE Hemel & Aarde Venue. Karoo Northern Cape Guest-farm BloemhofKaroo is a beautiful old Great Karoo farm steeped in history and it was once owned and loved by Professor Christiaan Barnard. To this day it is a working farm in the Malaria free, Northern Cape. 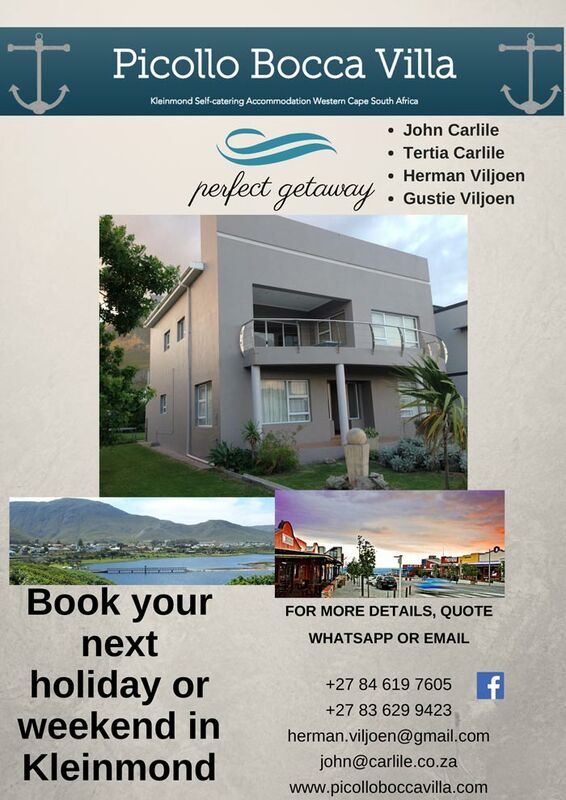 Located just 5km from the N1, between Three Sisters and Richmond. Picollo Bocca Villa offers you luxury and spacious accommodation with that “home away from home” feeling. With 3 large bedrooms, laundry, large open plan living area, dining room, fully equipped kitchen, a garden suitable for children and adults looking to relax, as well as a barbecue area. Environment, community and social responsibility. ~Please visit our Caring Community & Doing Random Acts of Kindness page where you can pick your favourite charity or choose a random one to donate a couple of rands to. Giving is good for the soul. Coastal cleanups. Click to see where you and your family and/or friends can slot in and make a difference. Please consider helping these NPO’s by donating or volunteering. Panthera Africa Big Cat Sanctuary While providing, managing and working closely with eight different species of predators, Lizaene Cornwall observed and experienced each species’ uniqueness and capabilities, and realised that protecting and caring for big cats is her calling in life. Follow Seven Springs on Facebook to stay up to date with the jet-setting, wine-sipping super lovely Vaughn and Tim – amongst other things, their Hemel & Aarde Valley Winery has been completed and is handling the fruits of the first harvest! The inimitable Holly keeps everyone entertained! Please read her latest Sumaridge newsletter. If you are in the Overberg region – your journey will be rewarded if you pop in at the Hermanus Wine Village at the foot of the Hemel and Aarde Road. #JustDoIt! Either way, join the Wine Village Wine Club 2018 for fantastic value for money! This month’s movie reviews and fascinating facts about all genres, modern and historic: See Maya’s Movie Magic! Inspired Action & new developments. Check back as we add more events as requests flow in. 12 Aug – Women of Wine South Africa (WoWSA) Festival, Candlewoods Boutique Venue Centurion. The Cape Town International Convention Centre. Platbos – Africa’s Southernmost forest. On at the Brooklyn Theater. Baardskeerders Bos (B Bos) Farmers Market ~ Last Saturday of every month. Hermanus Country Market Every Saturday morning at the Hermanus Cricket Club. 9am to 1pm. Tapas Live Music over weekends. See our list of Award winning wines. Exclusive Works – The Ultimate Stainless Steel Pans, trailers etc! Foto First – photographic desires. Earthworks – Garden Design & Service with care! 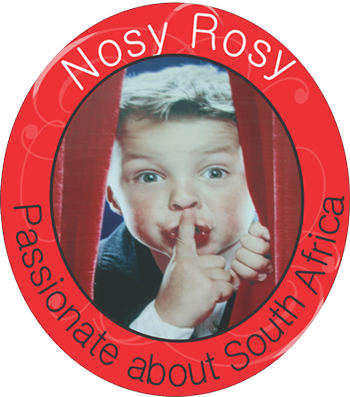 NosyRosy Advertise your business or event. “Cooking for Pleasure” Classes at the Overstrand Training Institute. Paleo your body into shape!